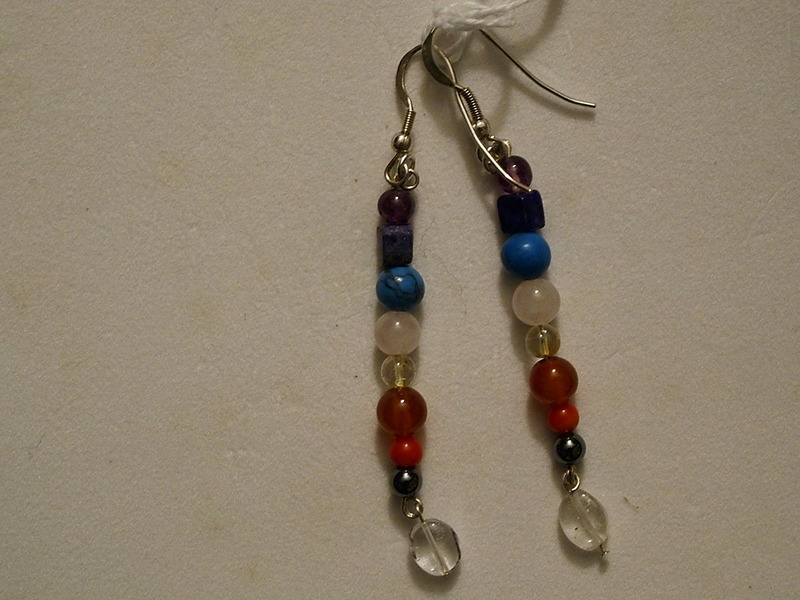 These beautiful drop earrings are made of real gemstones, corresponding to the different chakras for chakra balancing and healing. The findings and wiring are made of sterling silver. Please Look also at my chakra necklace and bracelet.